Online gambling has been constantly growing over the years thanks to its numerous pros. For example, players don’t need to spend lots of cash on traveling and accommodation as online gambling is available from the comfort of their home. Moreover, this market is very competitive and therefore operators often attract users with massive bonus offers and rich game selection. As a result, when you join any reputable UK online casino, you can expect top-notch service and many gambling options. As gambling sites collaborate with several game developers, their game menus commonly offer picks for all types of players such as slots, table games and video poker. However, online poker is often featured under a separated tab or even on an entirely different website. This may be confusing to inexperienced players as they cannot understand the difference between online poker and online video poker. Well, this is the perfect opportunity to learn it. Let’s start with online poker first. Online poker is literally poker as we know it, just played online. In other words, players must register with an online poker operator, make a deposit in order to join a particular game and then take a seat at a virtual table (if there’s a free one). The objective on online poker is to beat other players, who are playing against you in real time. Online poker games often feature several players and require certain buy-ins from those that want to take part. Also, operators often organize online poker tournaments with massive prize pools. So, the cards are dealt by the online poker software, while players get to decide what their next move is going to be; the options are standard and include calling, raising or folding. Online poker is offered in various variations, with Texas Hold’em and traditional Omaha probably being the most popular ones. It should be noted that online poker sessions usually take place in virtual poker rooms, whereas video poker is featured among the casino games. Those that have played video poker know that this game is a mix between poker and slot machines. Namely, the player plays against the software, rather than against other players. Therefore, video poker is considered an individual game, which doesn’t require spotting bluffing or trying to figure out other players’ strategies. On video poker you simply choose the variant and then play alone. For better illustration, a session of online video poker would go as it follows. The player first registers with an online casino operator and then finds the desired video poker variant; there are tens of those such as All American, Joker Poker and Deuces Wild. 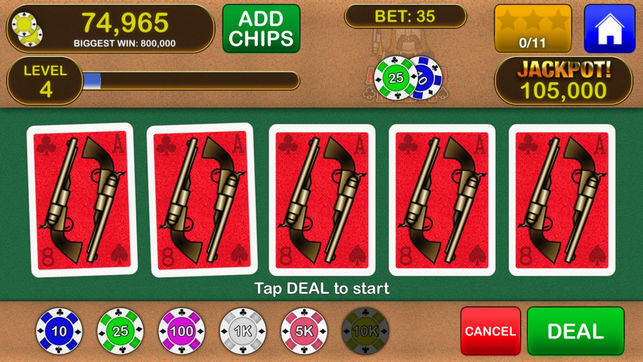 Once the game is selected, it is quickly loaded, and the player gets to select betting size before hitting the “Deal” button. This starts the game and the software deals five face up cards to the player, who then decides which cards to be kept and which to discard. All discarded cards are replaced with new ones and the game ends with or without a winning combination.